New series from DK designed to help kids learn how to read and learn to love reading. 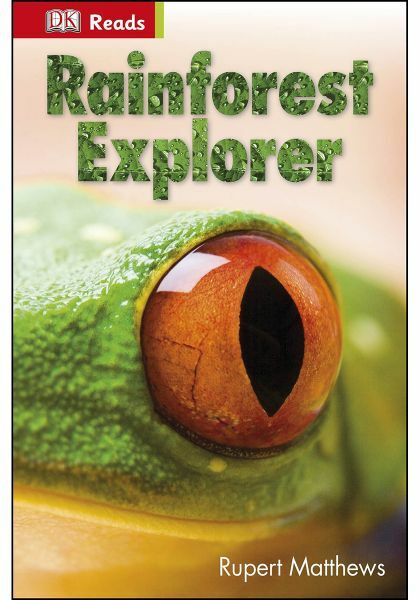 Rainforest Explorer is a 'Starting To Read Alone' reader, perfect for children beginning to read alone as they develop skills to read confidently, accurately, fluently and with good understanding. DK Reads proves that good reads build great readers. Through her blogs, Zoe shares the thrill and narrow escapes of her travels through the Amazon rainforest to her uncle's Research Station. What will she meet and discover? Spot the animals and their footprints and play a game of olliztli. Plus, find out about the changes and mysteries in the rainforest. Rainforest Explorer is part of the new DK Reads series, a three-level reading scheme that helps children become confident readers, featuring engaging and illustrated topics. DK Reads is created in consultation with literacy experts and adheres to levelled reading scheme guidelines so the grammar, vocabulary, and content are spot on for each stage.